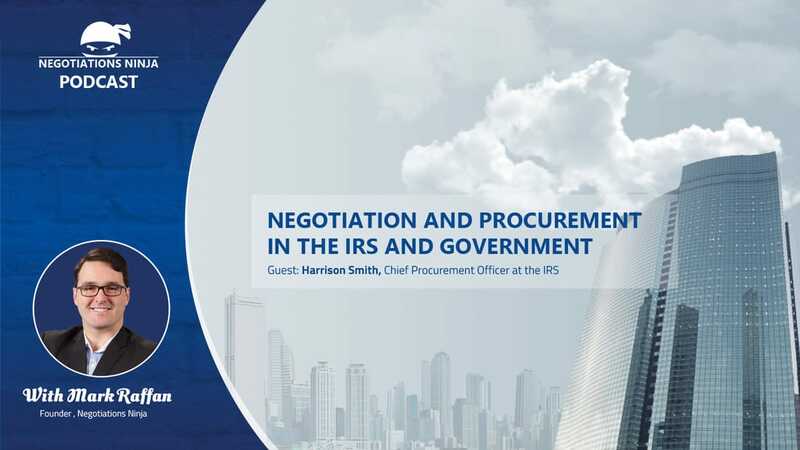 Harrison Smith, Acting Chief Procurement Officer at the IRS, is on the Negotiations Ninja Podcast to talk about how procurement and negotiation works in the government. We got into a very interesting discussion on the difference between public and private procurement. I’ve got to tell you that it truly opened my eyes on what goes on in the government procurement world. ​The amount of pressure that these folks must be under to keep all stakeholders engaged and happy must be incredibly immense. It gave me a whole new appreciation for the work that our our brethren in public procurement do.